If you want to learn a little about the cremation process and have a good cry, then Takumi Saito is your man. The actor’s directorial debut could serve as a graceful coda to the Oscar-winning Departures. Thirteen years after abandoning his wife and two sons, Masato Matsuda dies of cancer. 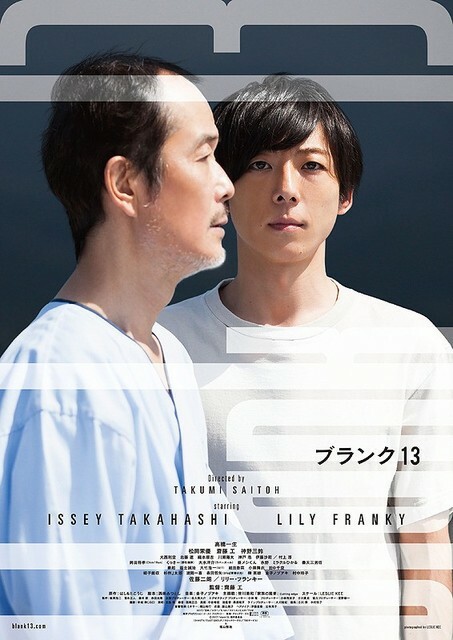 The two brothers grew up bitterly resenting their absent father, but they are shocked to learn how he touched the lives of others during his funeral in Saito’s blank 13 (trailer here), which screens as a selection of the 2018 Japan Cuts Festival of New Japanese Film. Matsuda was a degenerate gambler who only ever brought home debt-collectors. However, he managed to eke out a few bonding moments with his younger son Koji over baseball. That is why Koji is the only one who tries to reconnect with Masato when the family hears of his cancer diagnosis. The effort is awkward and ultimately inconclusive. 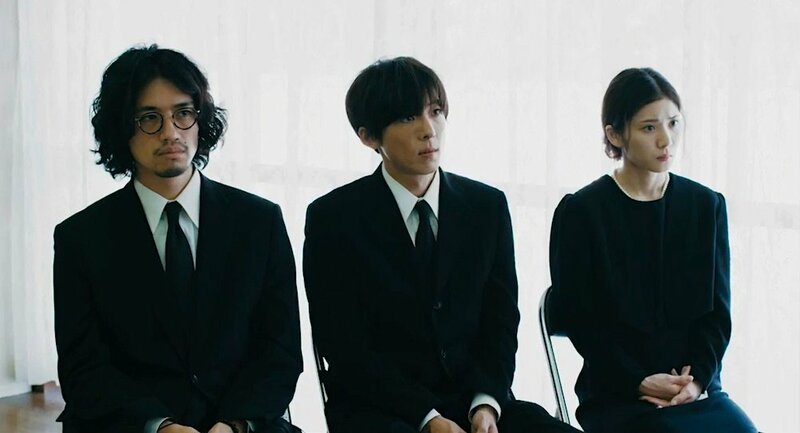 Nevertheless, the Matsuda Brothers resolve to do their duty at the funeral, but for a while it looks like only Koji’s girlfriend Saori Nishida will be there for moral support. Yet, to their surprise, a Runyonesque assortment of gamblers, bar-workers, and nocturnal dwellers coalesces to paint a picture of their father as the salt of the earth. Comparisons with Departures will be inevitable, but blank 13 has considerably more humor. There are a number of eccentric and ribald reminiscences at the funeral, but the tonal shift is never as drastic as it sounds. Even at its most outrageous, the film maintains a wistful melancholy. Lily Franky is perfectly cast as the sad-eyed but ultimately inscrutable Matsuda. Misuzu Kanno is quietly devastating as Hiroko, while Issei Takahashi openly expresses the pain and confusion Koji never really got over. Initially, Saito seems to have assigned himself a one-note role playing the bitter older brother, Yoshiyuki Matsuda, but he really lowers the emotional boom down the stretch. Plus, about half a dozen Japanese character actors of varying degrees of recognizability combine to a create truly distinctive mosaic portrait of the dearly departed, sort of led by a game Jiro Sato as the unlikely impromptu master of ceremonies. To its credit, blank 13 does not try to answer every question about Matsuda’s dubious behavior, but it is still wholly satisfying. In fact, this is exactly the sort of foreign film that can go mainstream, even with its relatively short seventy-minute running time. It is a wonderfully humanistic film, but if you want to see it at Japan Cuts, you will have to fly stand-by. Enthusiastically recommended, blank 13 screens this Friday (7/20), at the Japan Society, as part of this year’s Japan Cuts.